I saw water coming forth from the temple on the right side, alleluia: and all those to whom this water came were saved, and shall say, alleluia. The Church received from her divine Founder the power to bless. Before giving these elements to her children, then, she elevates them by her prayer; her blessing has a supernatural value, and accordingly makes them channels of grace. 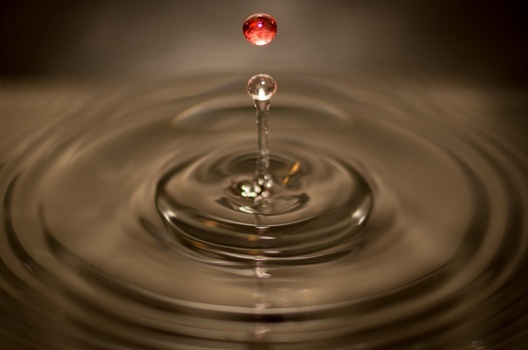 Holy water is therefore a sacramental. A sacrament infuses grace of itself as long as the soul is in the required disposition: a sacramental, however, does not infuse grace of itself; it is only a supernatural aid given to the activity of the soul. This activity, however, is stimulated and made fruitful by the grace which the Church prays for in blessing some objects, and we can avail of this actual grace by the right use of those objects. A sacramental is, moreover, a protection against the enemies of the soul, and is often, too, a means of obtaining temporal favors. In Paschaltide, while the priest sprinkles the holy water before Sunday Mass, the antiphon borrows the words of the prophet Ezechiel, Vidi aquam….“I saw the water coming from the right side of the temple.” This recalls the water which gushed from Our Lord’s side on the cross, and also Baptism, which in the early Church used to be given solemnly during Easter night. To enable us to profit frequently by the graces attached to this sacramental a font is placed at the door of our churches. Let us take the holy water with faith and, after the manner of the sprinkling, make with it a reverent sign of the cross on ourselves. 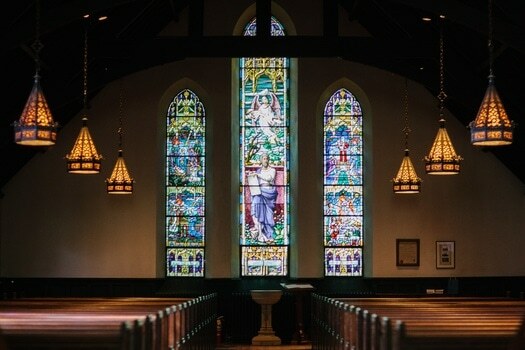 Coming into the church it will purify us in preparation for prayer; going out it will protect us against the many occasions of decadence and sin which occur in our daily life. 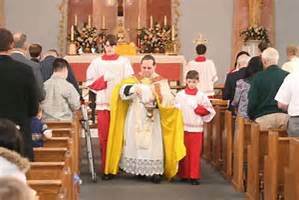 To hear more about this subject listen to LEARNING ABOUT THE ROMAN LITURGY with Louis Tofari every Thursday @ 10am, 1pm, 6:30pm, and 10pm, Central Standard Time, USA on MAGNIFICAT RADIO @ http://www.magnificatmedia.com/ ~ “Living Our Traditional Catholic Faith”. Click the LISTEN LIVE button. Visit Louis’ site too at: ROMANITAS PRESS for books and featured items.